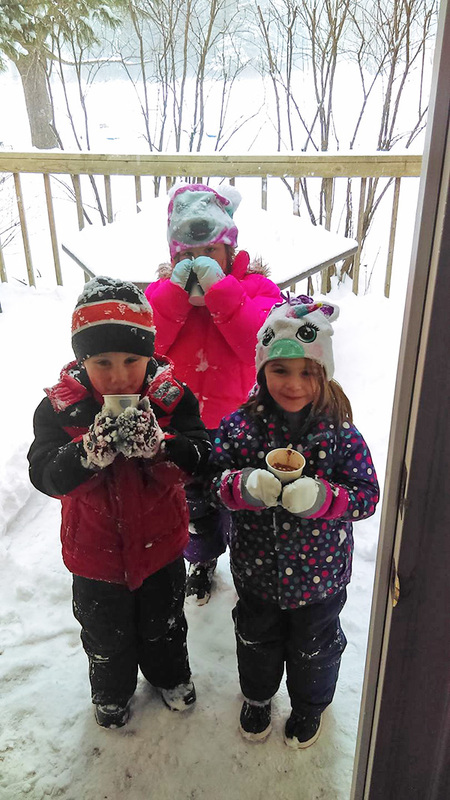 Ashley Hawley sent us this photo earlier this month of Landon Murphy (5), Maddie Schultz (5), and Hannah Schultz (7), enjoying some hot chocolate after playing in the snow at their home on Pine Street in Cedar Springs. Hot chocolate is a great way to warm up after playing outside! If you have winter photos you’d like us to consider for publication, email them to news@cedarspringspost.com with “winter fun” in the subject line. We publish them as space allows, and do not guarantee publication.